What’s A Name Got To Do With It? 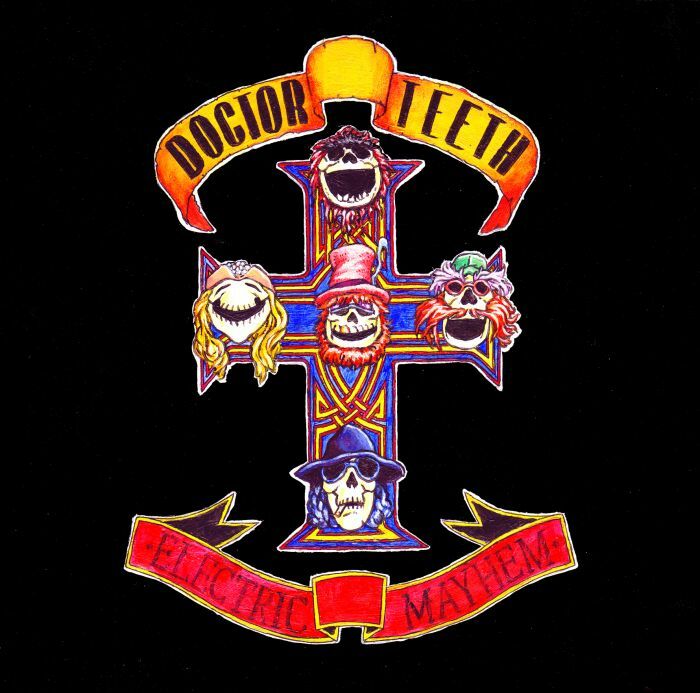 In 2009, Paste Magazine named Dr Teeth and the Electric Mayhem, an initiative by The Muppets no less, as “THE BEST BAND NAME OF ALL TIME” (capital letters and all). Outlandish as that name is, you can’t help but marvel at the sheer creativity of it all. Other notable mentions in the list include Joy Division and We Were Promised Jetpacks! Since the dawn of time, band names have excited and erred in equal measure, providing a way for marketing men to skilfully package products for the masses. For fans however, band names hold something inherently more sacred: an identity and a representation, or a precursor to their music. A band with an intriguing name is like a catchy chorus; something in your brain just clicks without any rhyme or reason. Last Saturday, despite feeling under the weather, I decided to join my friends for Project FLiP’s Beatles Unplugged charity gig at Rootz KL. Proceeds, I was told, would go directly to a fund to help the victims of the horrific Japan quake-tsunami. Aside from that little piece of information, I went into the event pretty much clueless regarding the acts. Therefore, I paid extra attention to the emcee when he announced the bands before they appeared on stage, hoping against hope that their name would offer an indication of their genre or personality. First up onstage was Decimal, which name-wise was on the generic and forgettable side. Despite the blah name that unfortunately rhymes with abysmal, the four-piece outfit, which are normally a quintet, did a rather brilliant job with a couple Beatles classics, namely “Let It Be” and “Drive My Car”. With a strong acoustic set backed up by a lovely albeit soft cello, the self-proclaimed cover band also produced memorable renditions of Christina Aguilera’s sultry “Candy Man” and Jackson 5’s evergreen “ABC”, which just goes to show that a boring name does not always ensure a boring display of musical prowess. Next up was the Darren Ashley Band. Reminiscent of the pretty obvious Dave Matthews Band, the Darren Ashley Band is indeed made up of lead vocalist Darren Ashley, who opened for Switchfoot’s recent Malaysian concert as part of Busco, and his friends. No surprises there, but the real treat was in the band’s early MGMT-esque electro and synth pop influence, especially when it came to the haunting cover of “Black Bird”. “Hey Jude”, as always, was a crowd pleaser as the audience sang along, but the band’s fun-loving and carefree persona that shone like a beacon throughout their set, which included three original tunes, was the highlight, an absolute joy to watch. Nonetheless, after much research and no thanks to the Facebook event page, it seems that there is no “Band” in the Darren Ashley Band, which is a shame really. Fortunately, Darren Ashley and his band, as a name, still has a decent ring to it, no? By now, I had forgotten my flu-like symptoms and was really grooving to the atmosphere and the music, but I never expected Mamasons to look or sound like they did. The band name would suggest a mellow exterior, or even a playful sort of ironic exuberance, but Mamasons, whose members resembled a tough biker gang more than “momma’s boys”, were here to give a show, and give a show they did. “Come Together” was the standout performance that complemented the band’s craftsmanship with lead singer Aster Kyle’s strong growl of a voice, which was tailor-made to perform rock anthems. The band name, though, could use some work, but just be glad they are no longer known as Project LoL-e, which really just reminds me of the 90’s bubble gum pop trio LFO. Maybe I am biased, but I never really fancied band names that happen to be verbs (Taking Back Sunday comes to mind). Call me old-fashioned, but I always prefer the conventional band name as a noun format. As it stood, Ask Me Again, the band that came onstage following the impeccable display of guitar-playing mastery from Reza Salleh, was no different. Granted, with a band name as polite as Ask Me Again, I really thought they would ask the audience’s permission before they decided not to perform a sound-check. Chaos ensued, coupled with a lot of ear covering, wincing, and plenty of shouting in no particular order. Was there even a Beatles song in there? For the general wellbeing of my ears, I left before I had the chance to catch Bittersweet, whom I thought had the right blend of sentimentality and character in the band name. Though music is ultimately what sells records and wins fans, the band’s name should not be overlooked either. The perfect union of a band name that is true to the spirit of the group and music that is an extension of their souls is hard to find, but sometimes you just get lucky. In 2009, I purchased The Pains of Being Pure at Heart record on iTunes on the basis of their poetic moniker alone; two years on, their self-titled debut is still very much part of my playlist. Yes, sometimes luck, not love, is all you need.